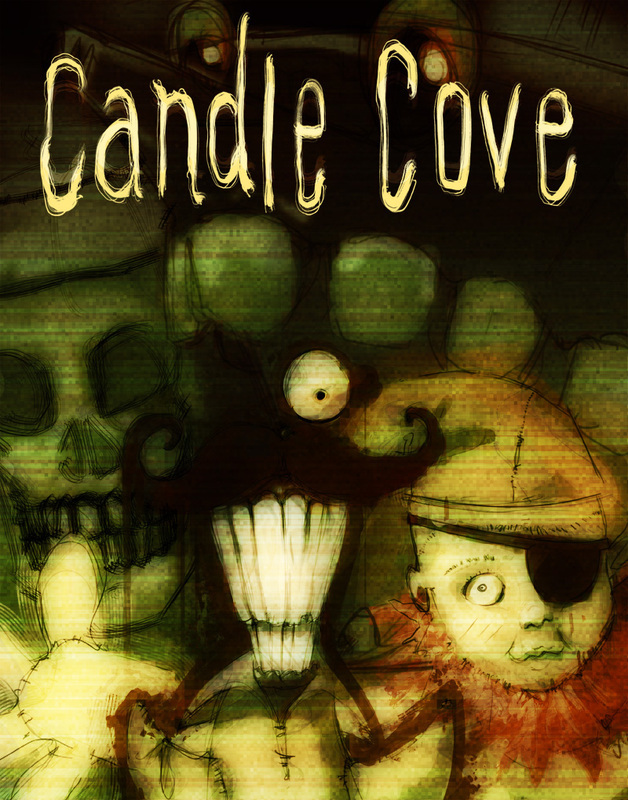 Skyshale033 Subject: Candle Cove local kid’s show? mike_painter65 Subject: Re: Candle Cove local kid’s show? Skyshale033 Subject: Re: Candle Cove local kid’s show? YES! Okay I’m not crazy! I remember Pirate Percy. I was always kind of scared of him. He looked like he was built from parts of other dolls, real low-budget. His head was an old porcelain baby doll, looked like an antique that didn’t belong on the body. I don’t remember what station this was! I don’t think it was WTSF though. Jaren_2005 Subject: Re: Candle Cove local kid’s show? Sorry to ressurect this old thread but I know exactly what show you mean, Skyshale. I think Candle Cove ran for only a couple months in ‘71, not ‘72. I was 12 and I watched it a few times with my brother. It was channel 58, whatever station that was. My mom would let me switch to it after the news. Let me see what I remember. Skyshale033 Subject: Re: Candle Cove local kid’s show? Thank you Jaren!!! Memories flooded back when you mentioned the Laughingstock and channel 58. I remember the bow of the ship was a wooden smiling face, with the lower jaw submerged. It looked like it was swallowing the sea and it had that awful Ed Wynn voice and laugh. I especially remember how jarring it was when they switched from the wooden/plastic model, to the foam puppet version of the head that talked. Skyshale033 Subject: Re: Candle Cove local kid’s show? Ugh mike, I got a chill reading that. Yes I remember. That’s what the ship always told Percy when there was a spooky place he had to go in, like a cave or a dark room where the treasure was. And the camera would push in on Laughingstock’s face with each pause. YOU HAVE… TO GO… INSIDE. With his two eyes askew and that flopping foam jaw and the fishing line that opened and closed it. Ugh. It just looked so cheap and awful. kevin_hart Subject: Re: Candle Cove local kid’s show? i honestly, honestly thought the villain was pirate percy. i was about 5 when this show was on. nightmare fuel. Jaren_2005 Subject: Re: Candle Cove local kid’s show? That wasn’t the villain, the puppet with the mustache. That was the villain’s sidekick, Horace Horrible. He had a monocle too, but it was on top of the mustache. I used to think that meant he had only one eye. kevin_hart Subject: Re: Candle Cove local kid’s show? jesus h. christ, the skin taker. what kind of a kids show were we watching? i seriously could not look at the screen when the skin taker showed up. he just descended out of nowhere on his strings, just a dirty skeleton wearing that brown top hat and cape. and his glass eyes that were too big for his skull. christ almighty. Skyshale033 Subject: Re: Candle Cove local kid’s show? Wasn’t his top hat and cloak all sewn up crazily? Was that supposed to be children’s skin?? Skyshale033 Subject: Re: Candle Cove local kid’s show? I’m so relieved that other people remember this terrible show! kevin_hart Subject: Re: Candle Cove local kid’s show? i don’t think that was a dream. i remember that. i remember that was an episode. Skyshale033 Subject: Re: Candle Cove local kid’s show? No no no, not possible. There was no plot or anything, I mean literally just standing in place crying and screaming for the whole show. kevin_hart Subject: Re: Candle Cove local kid’s show? maybe i’m manufacturing the memory because you said that, but i swear to god i remember seeing what you described. they just screamed. Jaren_2005 Subject: Re: Candle Cove local kid’s show? Oh God. Yes. The little girl, Janice, I remember seeing her shake. And the Skin-Taker screaming through his gnashing teeth, his jaw careening so wildly I thought it would come off its wire hinges. I turned it off and it was the last time I watched. I ran to tell my brother and we didn’t have the courage to turn it back on.